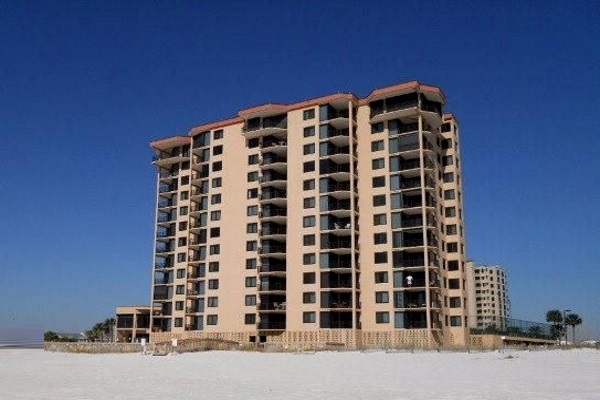 Orange Beach Alabama beachfront condo for sale at Broadmoor. Panoramic views from this spacious penthouse unit. This lovely condo has it all, fireplace, wine cooler, large master, high ceilings, full size washer and dryer, covered parking. Located in a quiet area of Orange Beach you will enjoy a tranquil beach away from the congestion but half a mile to the Flora Bama for all the fun!! !Property amenities include pool,hot tub,sauna,tennis courts,fitness center,covered parking,sundeck. Another great feature, the owner kept the exterior storm shutters so no need to bring patio furniture in.…come see!